Vasily and Lieberman were two ordinary peasants, living near the 'Podkamennaya Tunguska River,' in what is now called Krasnoyarsk Krai region of Russia. They died in a most bizarre fashion on 30 June 1908; a day of momentous consequences. They were about to begin their daily chores in the morning and were taking their cattle herd for grazing, when a strange event occurred. At exactly 7:14 AM. Local time or 00:14 UT , they, along with some other peasants, saw a powerful fireball on north horizon. Within few moments there was a blinding flash of light, which appeared to be spreading to the entire sky along with a deafening sound of an mega explosion. The intensity of this explosion was so severe that the intense shock waves created by this explosion, threw away both these peasants over a long distance and they died almost instantly under the impact. However tragic their deaths were for their families, their deaths normally would have not have been included in the history of planet earth. However, later when it was known that the flash of light and the explosion was caused by an meteorite falling on earth, their deaths got included in a long list of living organisms, destroyed by asteroids on surface of earth. Their names however have greater significance in this list. Because they are the only recorded cases from this otherwise unknown list. 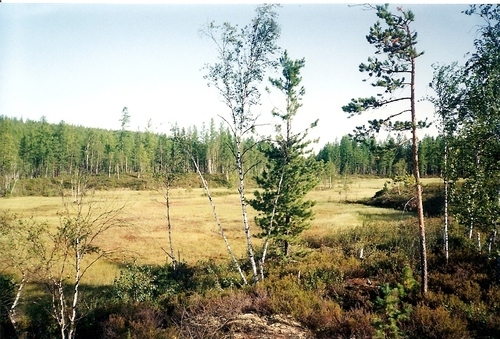 Today, site of 1908 Tunguska event, looks like this! The disaster in which these two innocent peasants had lost their life is known as 'Tunguska event' to scientific community and was actually a minor event by the standards of meteorite destruction throughout the history of earth. The meteorite had burnt it self off in mid air itself and there was no impact as such. 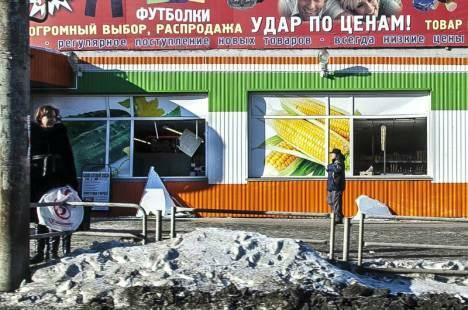 Even then, houses at 'Vanavara Trading Post' [65 Km south of the explosion site] had their window glass shattered and the people were thrown on the ground. The sound of the explosion was heard even at places, which were 600 Km away from the blast site and within a circle of 30 Km radius from the blast site, almost everything, including the trees was completely flattened. 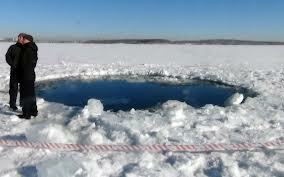 According to scientists, the meteorite was a small one, having a size not larger than 50 meters. 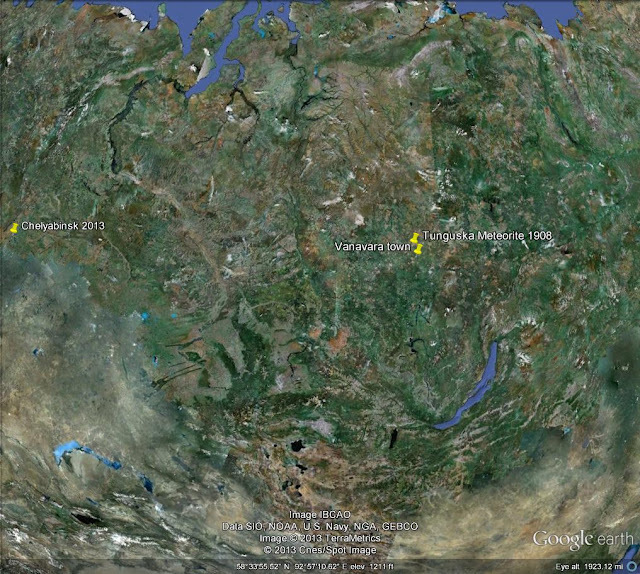 Now, more than 100 years since the Tunguska event, another meteorite has burst over Russia again. On 15th February 2013, at 0920 (0320 GMT), an object was observed above Chelyabinsk city in the Urals region of Russia which flew by at great speed and left a trail behind. In an instant, there was a blinding flash and as the falling meteor partially burned up in the lower atmosphere above the city, the morning sky lit up. Within two minutes, there were two explosions setting off a shockwave that smashed more than 40000 windows and left many people injured. As per latest reports, Russian interior ministry claims that more than 1200 people were wounded, three of them seriously and one still in coma, by the shockwave in Chelyabinsk and a half dozen other towns. The emergencies ministry said mobile communications were temporarily cut. The Chelyabinsk region is Russia's industrial heartland. It has a large number industries and other huge facilities that include a nuclear power plant and the massive Mayak atomic waste storage and treatment center. No damage has been reported from any of the atomic facilities. Yet State television showed a part of the roof and a sheared off wall off a brick zinc factory in the city of Chelyabink. 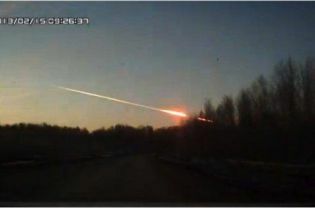 Russian astronomer Sergei Smirnov of the Pulkovo observatory estimated in an interview with the Rossia 24 channel that the meteor "was quite a large object with a mass of several dozen tonnes." Another woman said on TV, "that only God saved me" from getting hurt when the windows of her bedroom blew out. Most of the injuries were because of the broken glass. "There was a very bright flash and then two or three minutes later, we were knocked back by a shock wave," a young man told on Rossiya state television. Another man said "at first I thought it was a plane." Schools were closed for the day across the region after the shock wave blew out windows of buildings amid temperatures as low as minus 18 degrees Celsius. The local post service said several of its buildings had been damaged, while the stadium of Chelyabinsk's Traktor ice hockey side was also hit, forcing the cancellation of a match. 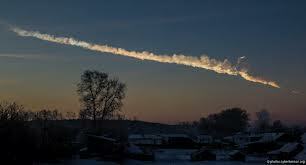 By coincidence, an asteroid, designated as 2012 DA 14, brushed past the earth by the narrowest of margins or a distance of around 27000 Km from the Earth, just hours after this meteor exploded over Russia. This 130,000 ton asteroid, which sped by earth, was about 150 foot wide and this narrow miss is considered by scientists as the the closest-known approach of such a large piece of cosmic debris since space experts started tracking objects that intersect Earth's path. Most of our Geo-stationary communication satellites like 'INSAT' are placed at a distance of 36000 Km from earth. This asteroid, which was big enough to destroy a major city, therefore actually was closer to earth for a short interval of time, than even our INSAT satellites. It however caused no damage to satellites also. 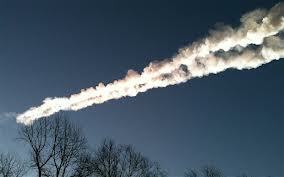 There has been some speculation that fall of meteorite over Russia and this asteroid were somehow linked. Scientists however do not see any connection between these two events and claim that it is just a coincidence.